If you don't yet know what the German Duckomenta project is, check this site and you will get a rough idea of what this is about. 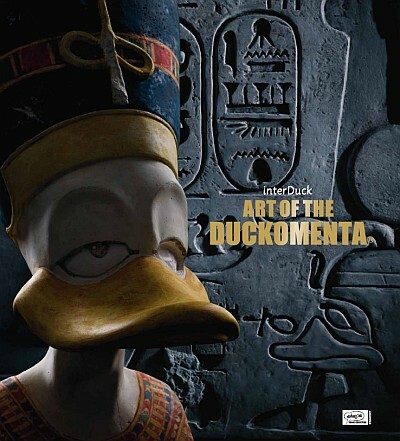 I just discovered today that a 400-page book about the project called The Art of the Duckomenta has just been released. 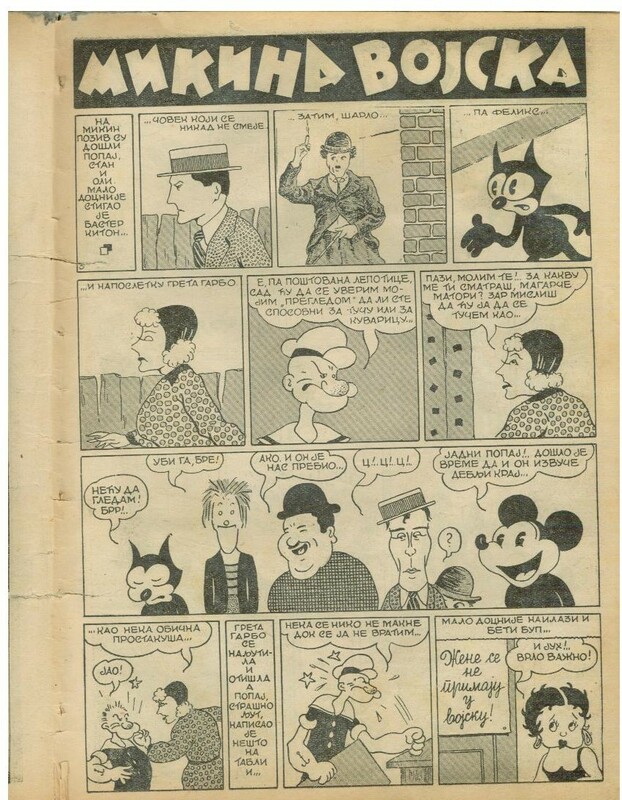 It looks as if it is written in English, French and German. 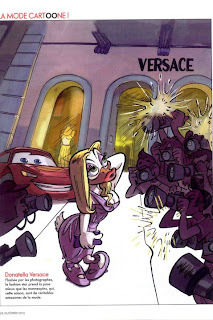 I have ordered a copy through Amazon.de and will tell you more about it when it reaches me next week. 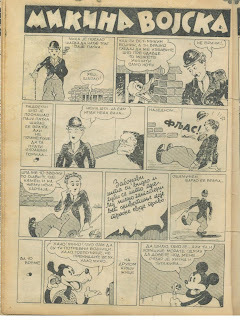 I will be in Lisbon tomorrow and Thursday and Friday are holidays in Madrid, so the blog will probably not be updated until next Monday. Check it on Thursday, though, as I might find some time to post a few things. 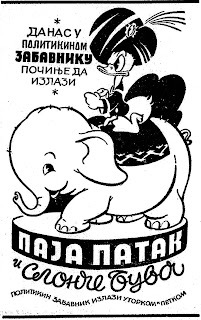 Here is another fun magazine from Serbia. 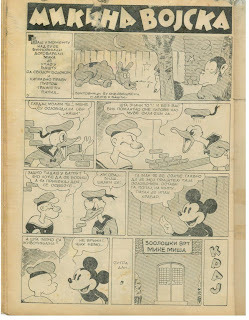 This is the weird cover of 300 Cuda [300 Wonders] issue 77 from December 1, 1957. Here is a real treat to start the week. 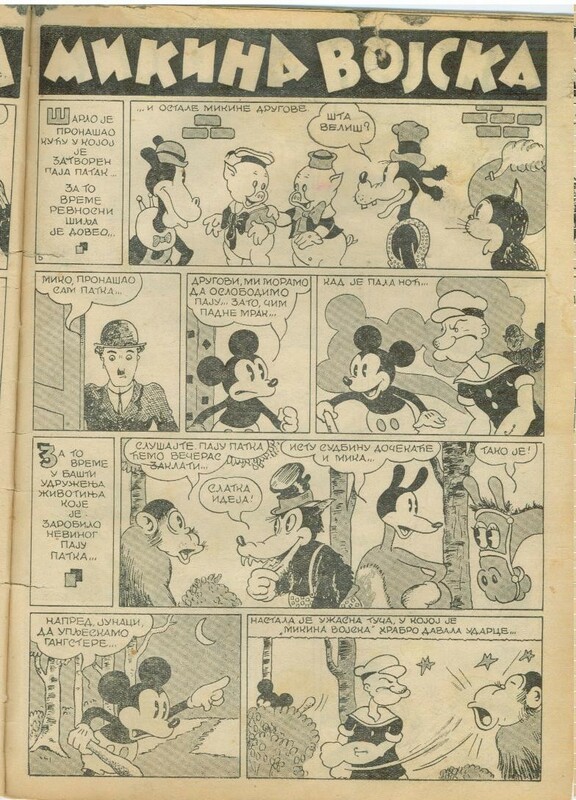 This story featuring Mickey, Buster Keaton, Laurel and Hardy, Charlie Chaplin, Greta Garbo, Felix the Cat, Popeye, Betty Boop and many Disney characters from the '30s was released in Serbia in 1937 in the magazine Zabavnik #7 and was drawn by a local artist. 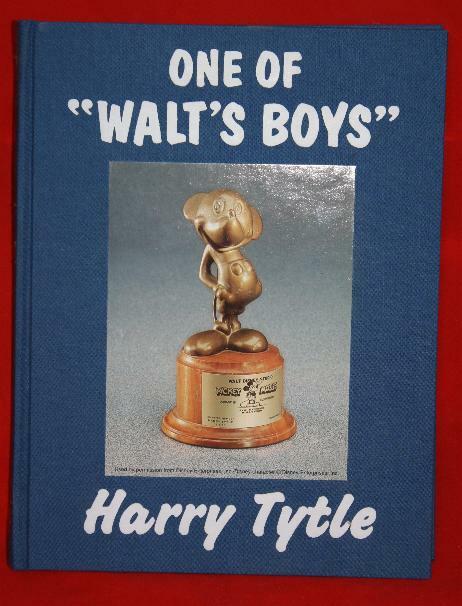 Harry Tytle's autobiography, One of Walt's Boys, is by far one of the most difficult to find Disney history books. 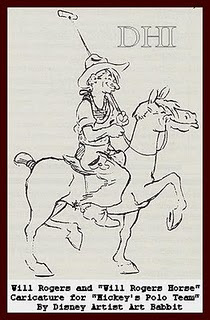 The rare copies that are in the market are usually priced at $800 and above. 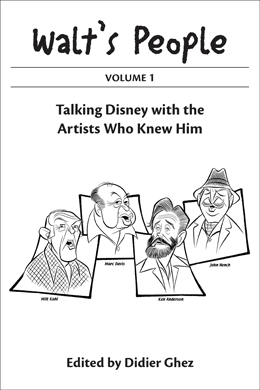 Some of you might be interested to know that Paul F. Anderson has a few copies for sale at $450 in the Disney History Institute's bookshop. 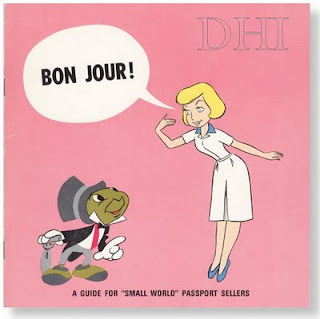 Why did Bank of America become the sponsor of the "it's a small world" attraction when it moved to Disneyland after its successful run at the New York World's Fair? 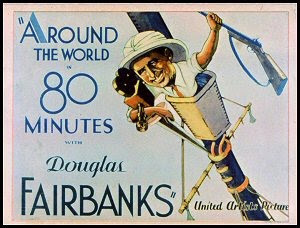 Disney historian Jim Korkis recently heard from the daughter of Lawrence Pritchard who was the Corporate Secretary and head of advertising for Bank of America at the time, and she shared with him that "my father told us that not only did BofA have a longstanding relationship as a sponsor of Disneyland but that the bank took an interest in sponsoring this particular ride because the theme suited the bank's foray into "World Banking" a term coined by BofA when regulations changed to allow the bank to operate outside of the USA. 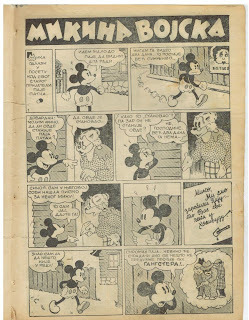 (At the time US banks were still restricted to operating within one state only.)" I will be in meetings all day tomorrow. The blog will be updated again on Friday. 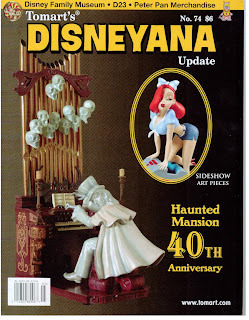 Tomart's Disneyana Update number 74 has just been released. 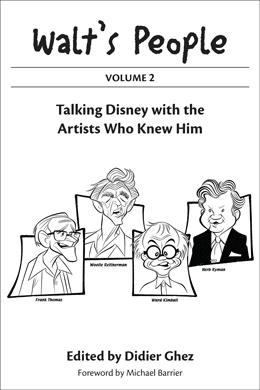 It contains the third part of David Gerstein's outstanding series about the English Mickey Mouse Annuals, including a lot of new information about Wilfred Haughton. A "must-read". 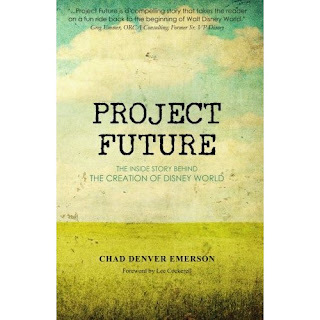 The book Project Future, The Inside Story Behind the Creation of Disney World by Chad D. Emerson will definitely be included in my top-3 list of 2010-released Disney history books. 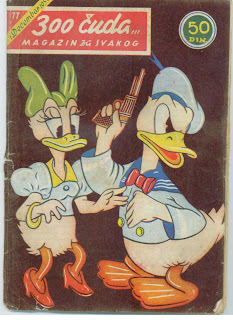 I have just finished reading it. 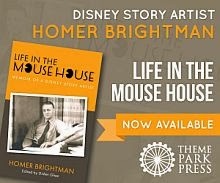 If you are interested in the origins of Walt Disney World you have to read this excellent book. It is clearly written and perfectly researched. It also brings quite a few new elements to the table. A definite success. 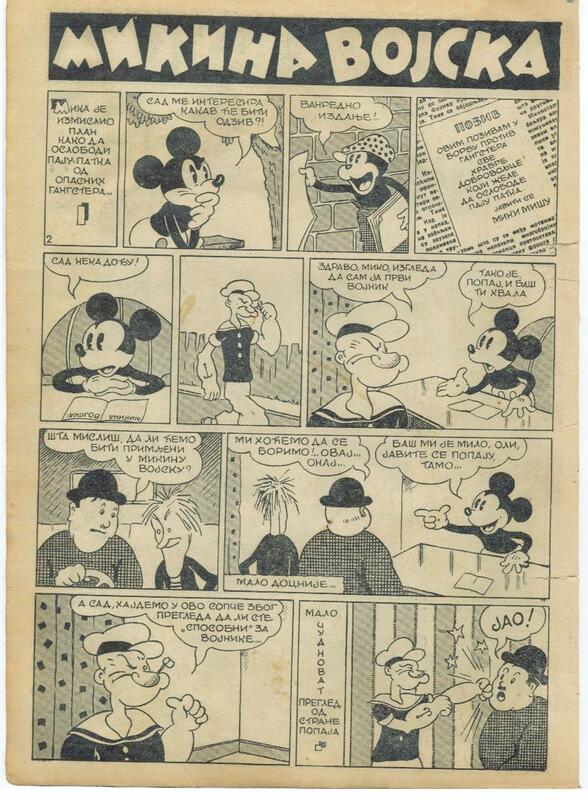 I love this new blog in Italian. Some great stuff in there. 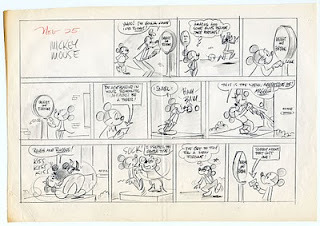 Mark Mayerson just posted an exciting animated sequence on his blog. Do not miss it. I believe some of you had been waiting to see this for quite a while. Way to go Mark! 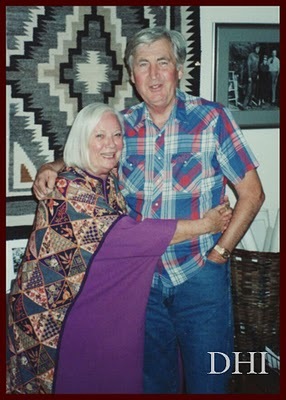 As you probably all know by now, the sad news of the day is the death of Fess Parker. 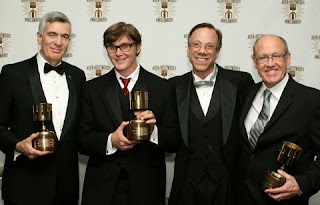 You can read the about it here, here and here (Bob Iger's statement). 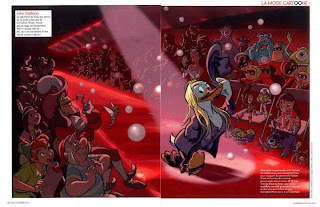 Wade Sampson had written about Fess for MousePlanet just last March. 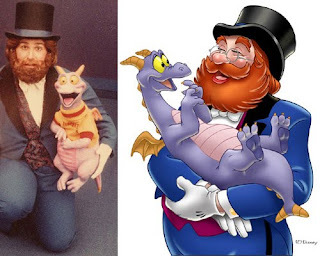 [When Epcot Center opened in 1982 the characters of Dreamfinder and his little purple dragon Figment were iconic to the park. 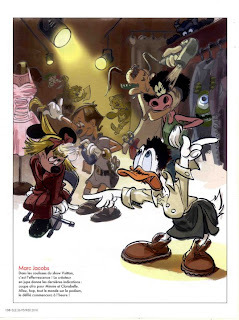 Not only did they appear on merchandise and in an attraction but there was a walk around character Dreamfinder who manipulated a puppet Figment to the delight of many guests. 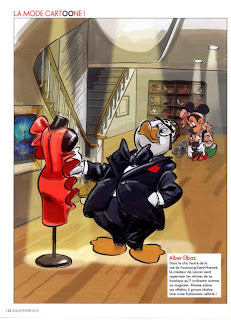 However almost a decade later, the character of Dreamfinder disappeared suddenly from the park without warning. I will be in London from Monday to Wednesday next week. The blog will be updated again on Thursday. 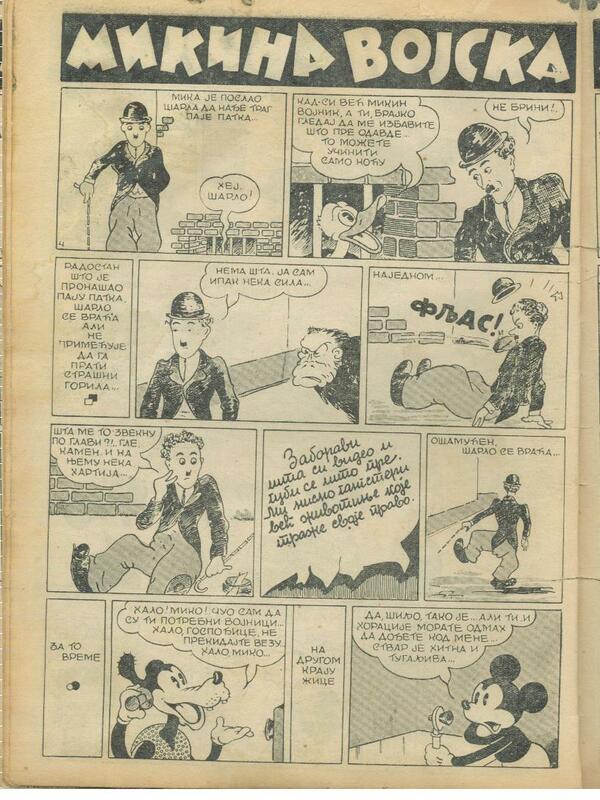 Here's a cartoon that appeared in BALLYHOO magazine in 1934. 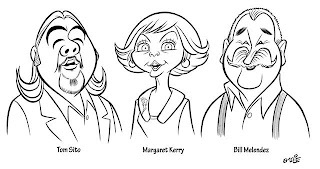 Cartoonist James Trembath drew it. 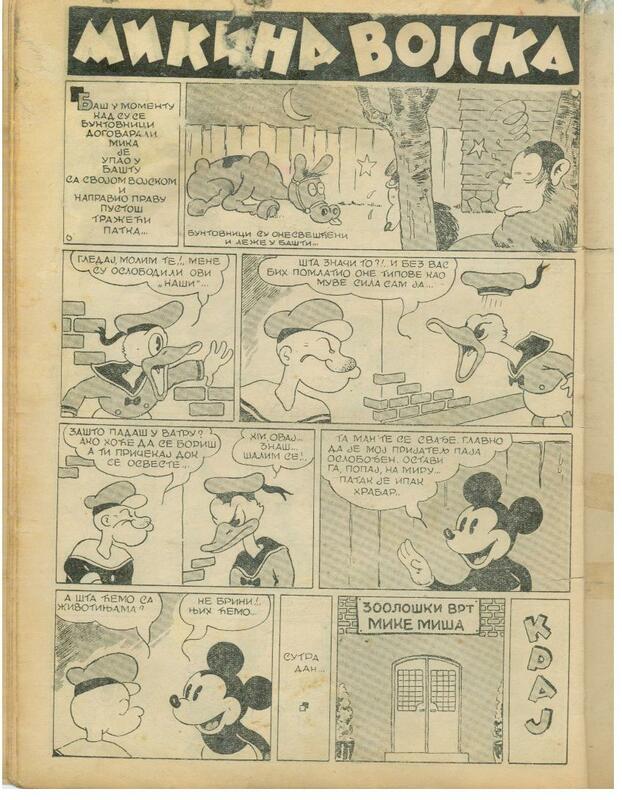 He was from Pennsylvania and active in the early part of the 20th Century. 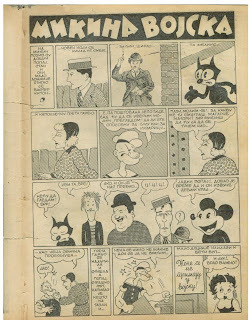 Jim Korkis located it on the blog Booksteve's Library, that I also would like to thank for it. 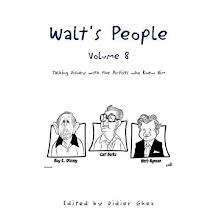 Peter Emslie just completed those marvelous caricatures for the cover of Walt's People - Volume 9. 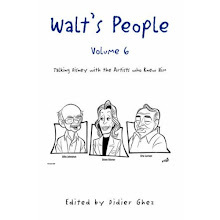 I am hoping to release Volume 9 in late May / early June. I will be in a training course on Tuesday and Wednesday. The blog will be updated again on Thursday. 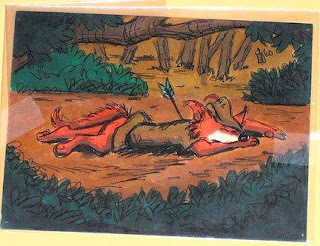 This marvelous concept drawing of Robin Hood by Ken Anderson is being offered for sale by Animation Celection. Unfortunately the price is way too high for me. 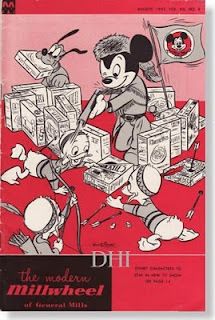 While this is not really Disney history, I enjoyed thise so much that I had to share it on the blog. 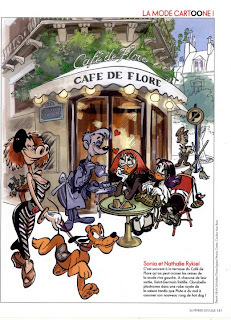 The French March issue of the fashion magazine Elle contains those great drawings by the extremely talented Disney comic book artist Ulrich Schröder. 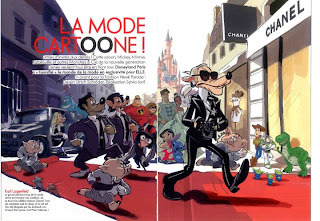 The idea of course is that Disney characters have been dressed by the most famous fashion designers. [We just produced an original video for the Walt Disney World webiste, and I thought you might appreciate it. It's based on a video I worked on years ago for internal use, and it's finally come to fruition as an online video. 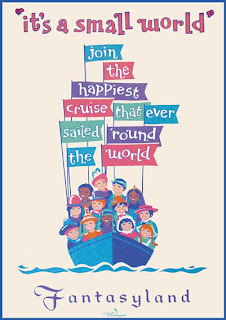 This is a project I've been hoping to get onto disneyworld.com for years -- something funny (I hope)! 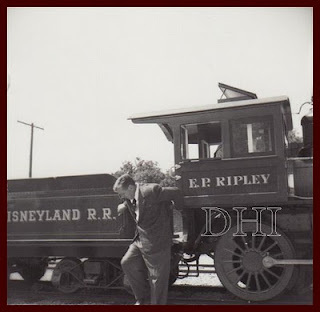 My good friend and fellow Disney enthusiast, Josh Noah, released a few days ago a series of never-seen-before photos of Roy O. and Roy E. Disney. Definitely worth a visit! 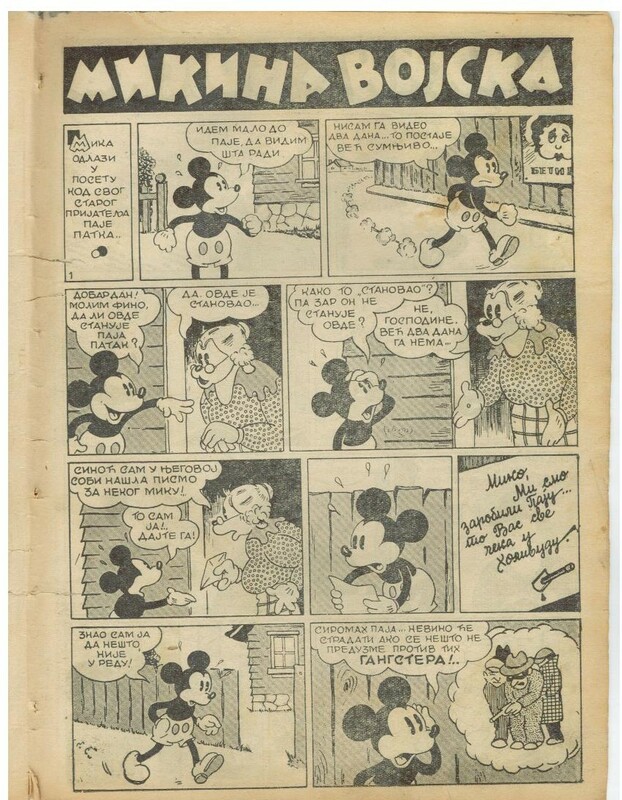 Didier Ghez: Were you already interested in Disney history before tackling this project? 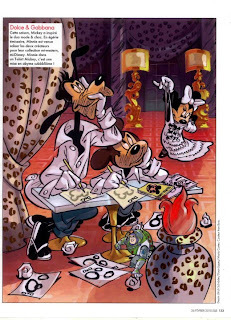 Chad Emerson: Yes, I've always been fascinated about Walt and his interest in using architecture and design to create interesting settings. 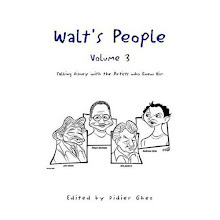 In researching the book, I learned that Walt was a true student of planning and design. He was committed to building places that encouraged people to interact with each other and enjoy social company. His earliest visions for Epcot would have been the grandest example of this. 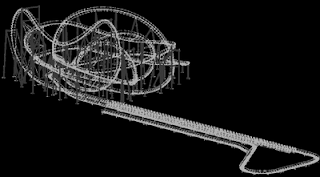 DG: When, how and why did you start working on this project? 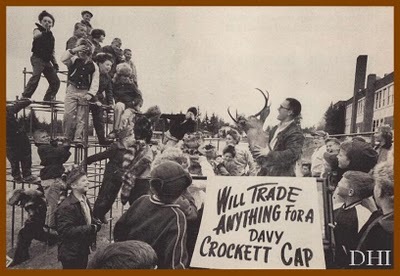 CE: The book actually started as an academic article I was working on related to the Reedy Creek Improvement District. The District is the unique government structure that was created for Disney to operate Project Future. 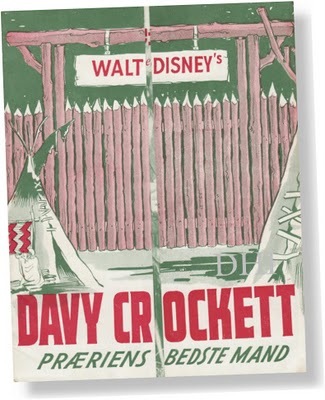 As I became more and more immersed in the details of Reedy Creek, I was amazed at the almost spy-like measures that the Disney Company took to purchase the 27,000 acres while also avoiding land speculators. 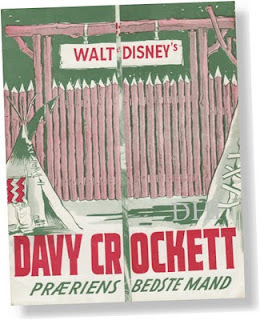 It soon became apparent to me that the story behind Reedy Creek and Disney World was a story that really needed to be told. 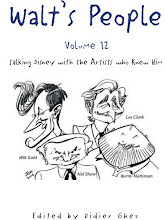 DG: Who were the most interesting artists and executives you interviewed while researching this book? CE: Ray Maxwell is the lead administrator for the Reedy Creek Improvement District and he was fascinating to visit with and very helpful in obtaining materials. Another interesting person was actually the first person I interviewed, Tom DeWolf. In addition to chairing the District's Board of Supervisors for many years, he worked directly with Disney officials in securing the large tracts of land that make up Project Future. 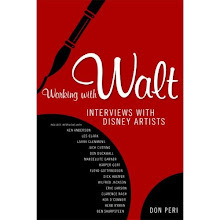 In fact, Mr. DeWolf interacted with Walt himself on several occasions early in the project. And, of course, Harrison "Buzz" Price was a wealth of knowledge related to how Central Florida was selected as the home for Project Future. DG: What were some of the main discoveries you made while working on the book? 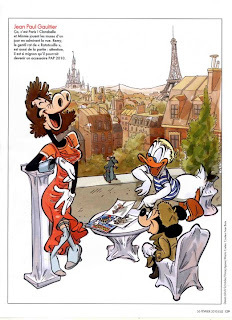 CE: Just how committed Disney was to avoid its mistakes at Disneyland. They went to incredible lengths to disguise their efforts in purchasing the land for Project Future. 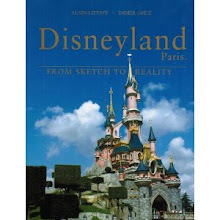 Walt was adamant that this project would not end up being surrounded by the tacky developments that quickly sprung up around Disneyland. 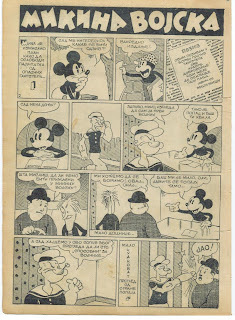 CE: I obviously love them all but, if I had to choose, the most interesting to research were the first 5 or 6 chapters that covered the amazing efforts used to select Central Florida and then secretly acquire the land. 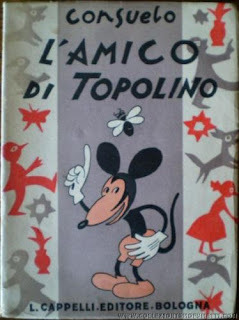 DG: If we have already read Married to the Mouse, Realityland and Since the World Began, are we still likely to discover some new information in this book? CE: I really think so. 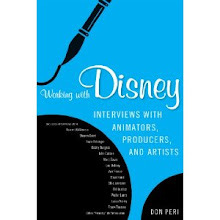 As Lee Cockerell noted in his Foreword to the book, Project Future is the first book that puts all the details together from 1959 to 1971 related to how and why Disney selected Central Florida. But, the book is not just about the Orlando area. 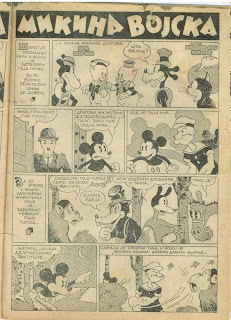 Instead, an entire chapter of Project Future looks at the other options Disney considered for his first Eastern U.S. project--places like St. Louis, Palm Beach, and Niagara Falls. 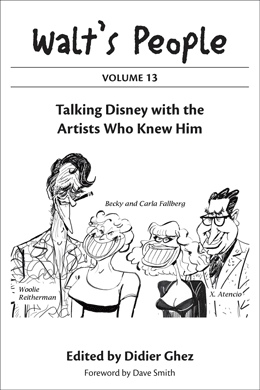 By keeping the book's focus on the this 12 year period, I've really tried to tell the story in chronological order with details that everyone from casual to sophisticated Disney fans will find interesting. 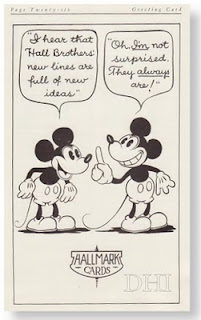 DG: Are you working on other Disney history related projects? 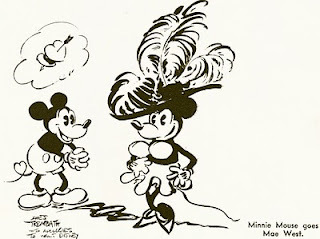 CE: Yes, I'm currently working on a book that explores how Central Florida became the theme park capital of the world from the 1970s through this decade. 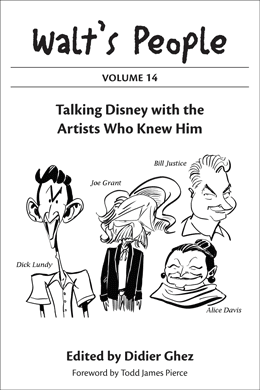 Much of the book examines the complex relationships between Walt Disney World, Universal, and SeaWorld. If all goes as plans the book is slated for publication in 2011. 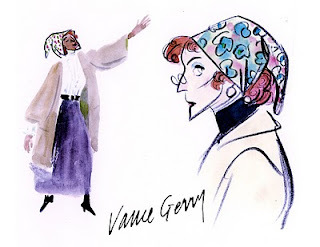 I just discovered the new blog Designing Disney and liked what I saw very much. 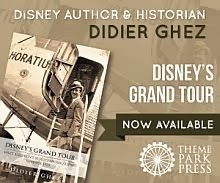 I just received the press release below about the newly-released book Project Future, The Inside Story Behind the Creation of Disney World by Chad D. Emerson. I have not read the book yet, of course, since I discovered its existence only this morning, but the parts of the press release in bold look promising. I will try and interview the author for the Disney History blog within the next few days. 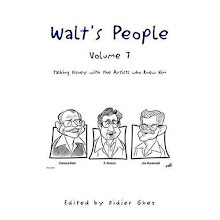 [Project Future, The Inside Story Behind the Creation of Disney World, is a fascinating new book that explores one of the most comprehensive and successful private developments in U.S. history – the Walt Disney World Resort. 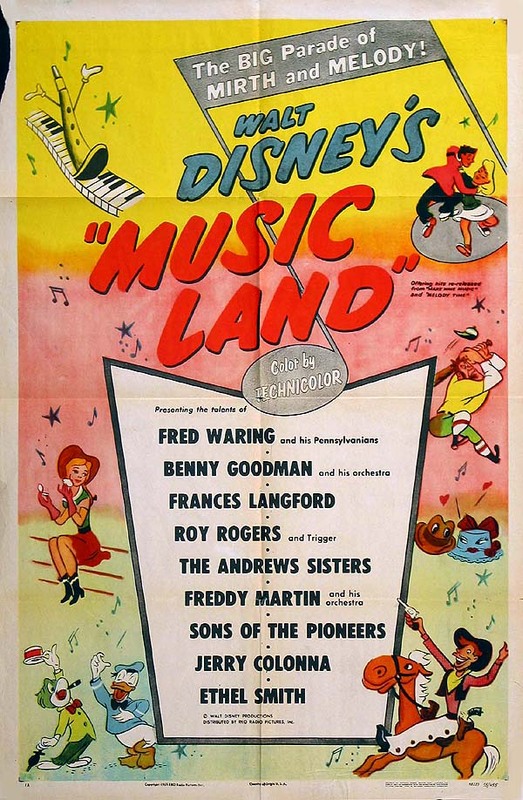 Emerson, a tenured member of the faculty at Faulkner University’s Jones School of Law and highly-respected theme park and attractions industry expert, also puts readers in Conference Room 2E at the company’s Burbank headquarters as the most senior Disney officials sort through the optimal parcels of land to place the “real working city” and planned entertainment development. 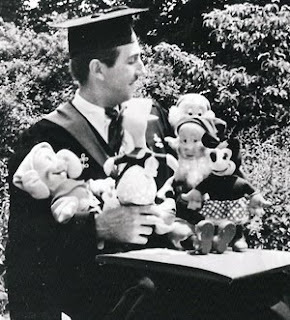 Emerson spent more than two years researching the history of Walt Disney’s Florida project while interviewing a variety of key players such as Harrison “Buzz” Price, Robert Price Foster, Gov. 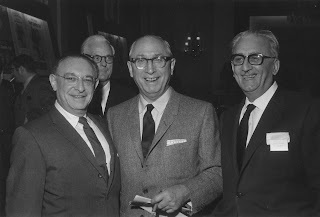 Claude Kirk, and Tom DeWolf. 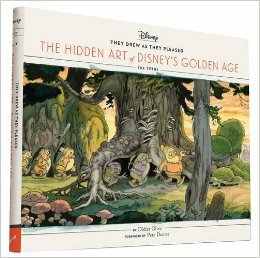 The result is a book that serves up intriguing glimpses of historic detail interspersed with fascinating strategies and spy-like maneuvers the Walt Disney Company deployed to fashion more than 27,000 acres of Florida marsh, swamp and farmland into the world’s most successful destination. 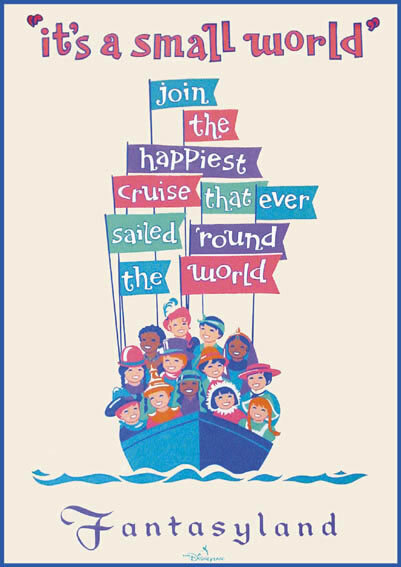 “Project Future does an excellent job providing rich details and historical context to the incredible efforts that individuals like Walt and Roy Disney, Bob Foster, Tom DeWolf, Paul Helliwell, Roy Hawkins and many others took to make Walt Disney World a reality,” says Lee Cockerell, former Executive Vice President for Operations at the Walt Disney World Resort. 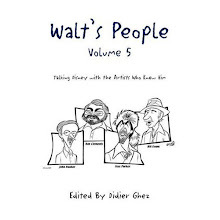 - A great potcast by Todd Pierce that contains interviews with Rolly Crump, Bob Gurr, Blaine Gibson, Pam Burns-Clair, and an excerpt from an interview Todd conducted with Harriet shortly before she passed on.